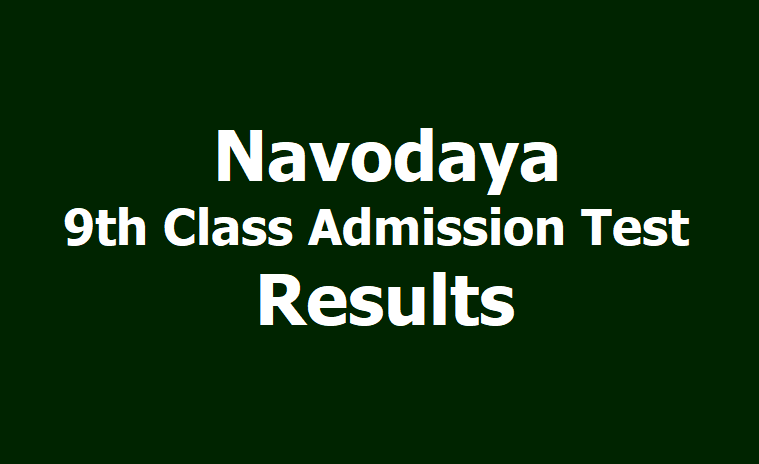 Navodaya Vidyalaya 9th Class admission test result 2019 released. JNVST 9th Class Results: Jawahar Navodaya Vidyalaya has declared the Navodaya Vidyalaya class 9 entrance exam result. Candidates can find the result on the official website. Jawahar Navodaya Vidyalaya has announced the Navodaya Vidyalaya 9th Class Entrance Exam Result 2019 (JNVST 2019) on its official website. The JNVST 2019 is conducted by the Navodaya Vidyalaya Samiti to take admission in Class IX in Jawahar Navodaya Schools located across the country. The results of JNVST 2019 will also be made available at the offices of the concerned- (i) Jawahar Navodaya Vidyalaya (ii) District Education Officer (iii) District Magistrate (iv) Deputy Commissioner, Navodaya Vidyalaya Samiti of the Region. The candidates can download their result online from the official link given below. Step 2. On the homepage, click on the link which reads " Navodaya Vidyalaya 9th Class Entrance Exam Result 2019 (JNVST 2019) OR Candidate to click here for View Results"